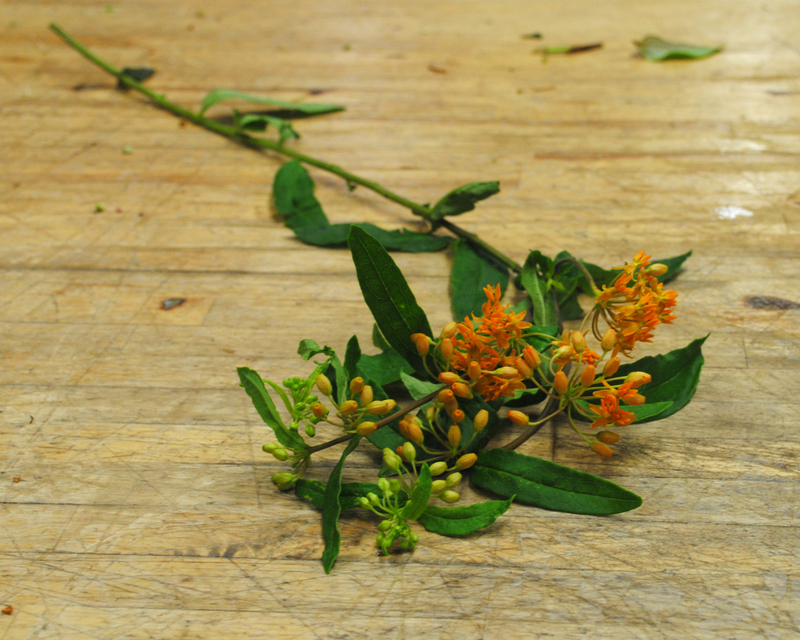 Asclepia is more commonly known as milkweed. This flower is a vital source of nectar for butterflies and has a powerful, sweet fragrance. Asclepia has a particular way of pollinating: when a butterfly lands, its leg slips into a slit on the asclepia flower. Then, when the butterfly takes off, the pollen is pulled free and carried with it to the next flower. Asclepia is one of the only sources of food for the larvae of monarch butterflies – asclepia is a great option for your butterfly garden! Alsclepia is an herbacious perennial. The photo above is of Butterfly bush, but other great varieties available throughout summer, include the pink and white asclepia syriaca, the purple pink asclepia speciosa, and the bright yellow and bicolored yellow-orange asclepia curassavica or tropical milkweed. Asclepia gets it’s name from Asclepius, the Greek god of healing, because of the flower’s use in folk medicine. The indigenous peoples of South America and Africa applied the toxic milk of asclepia to their arrowheads. While in North America, people often used the high fructose levels in the plant’s nectar as a sweetener. More recently, during World War II, asclepia filaments were hollowed, coated with wax, and used as an insulator. Asclepia is great for the plants surrounding it. It repels a variety of harmful insects, especially wireworms. It also contains toxins that deter caterpillars from doing damage in the garden. As if that wasn’t enough, asclepia also has a beautiful, strong fragrance.